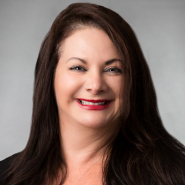 Jennifer Nackley prevailed in an appeal in a heavily contested guardianship matter in Naples and received a per curiam decision from Florida's Second District Court of Appeal affirming her trial court win. The case involved apparent undue influence and suspected elder abuse and was extensively litigated in the trial court, with Jennifer representing the sons of the alleged incapacitated person. She succeeded in disqualifying the attorneys attempting to appear on behalf of the alleged incapacitated person, due to those attorneys' conflict of interest and prior ineffective representation. The lower court's exclusion of those attorneys was affirmed on appeal following multiple rounds of motions and briefing.